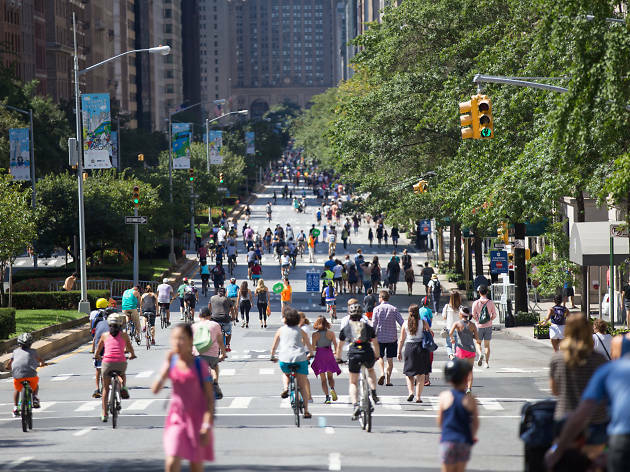 During Summer Streets NYC 2019 around seven miles of Gotham turf along Lafayette Street and Park Avenue is completely car-free in order to create a pedestrian paradise. 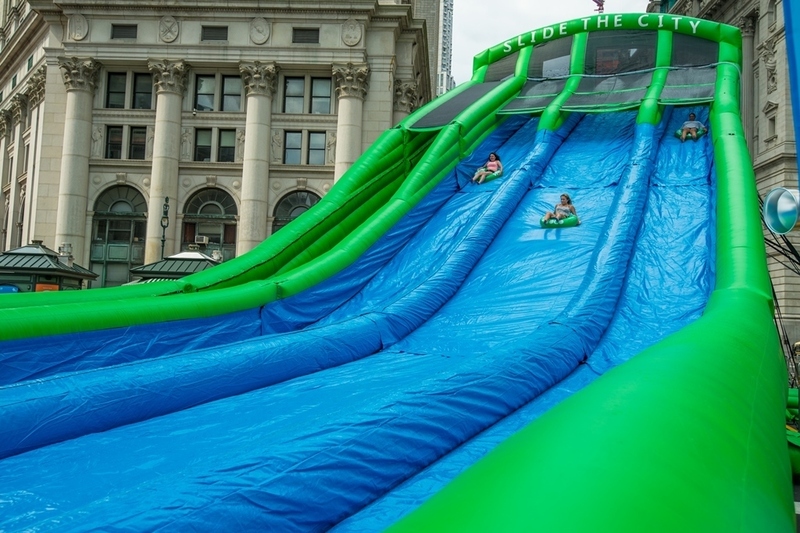 Hundreds and thousands of revelers descend upon the asphalt for invigorating sight-filled tours, plus free activities including a rock climbing wall, a zipline, outdoor art installations and misting stations. 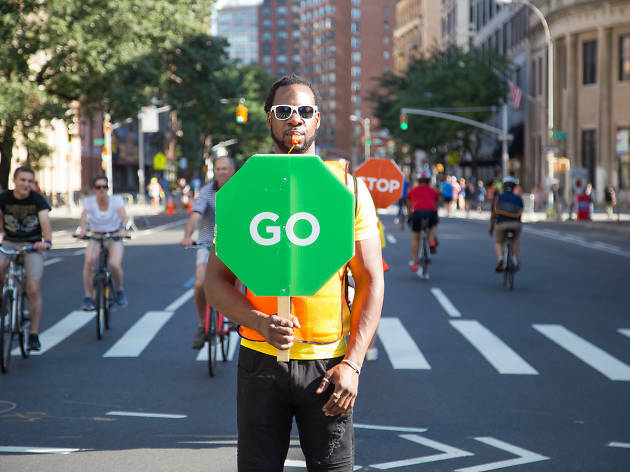 You won’t want to miss this year’s five rest stops which normally include fitness classes, a dog park, arts and crafts workshops, plus walking tours that explore NYC parks and some of the most beautiful NYC buildings. 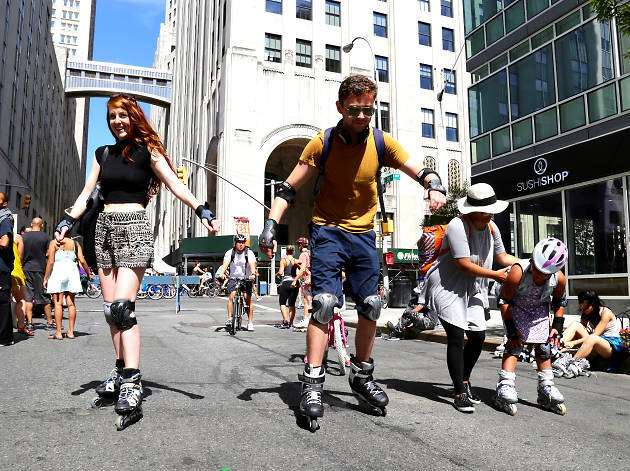 This is one of the best NYC events in August, so make sure to hit the streets for the first three Saturdays. 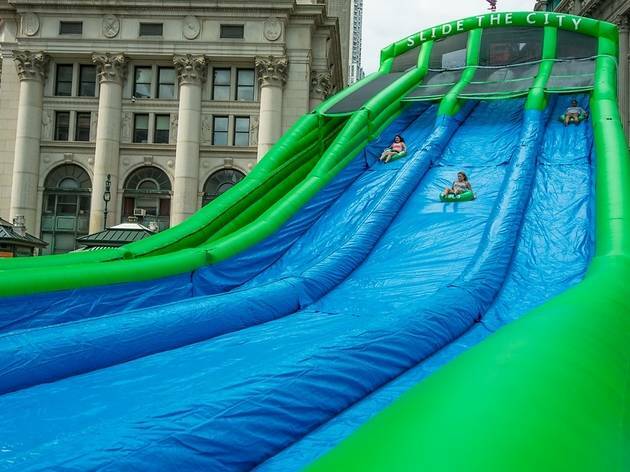 We'll be sure to alert you when it's time to sign up for popular attractions such as the water slide and other hot-ticket items. 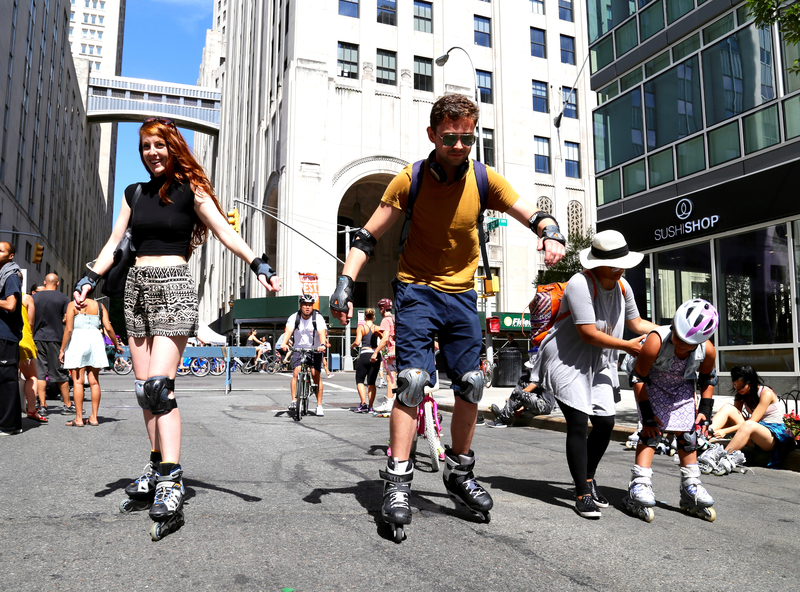 Summer Streets takes place over three consecutive Saturdays in August 2019. Dates TBA. 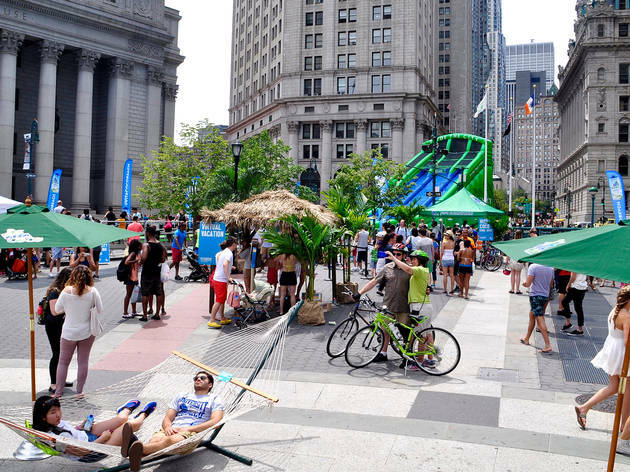 There are five rest stops during Summer Streets. 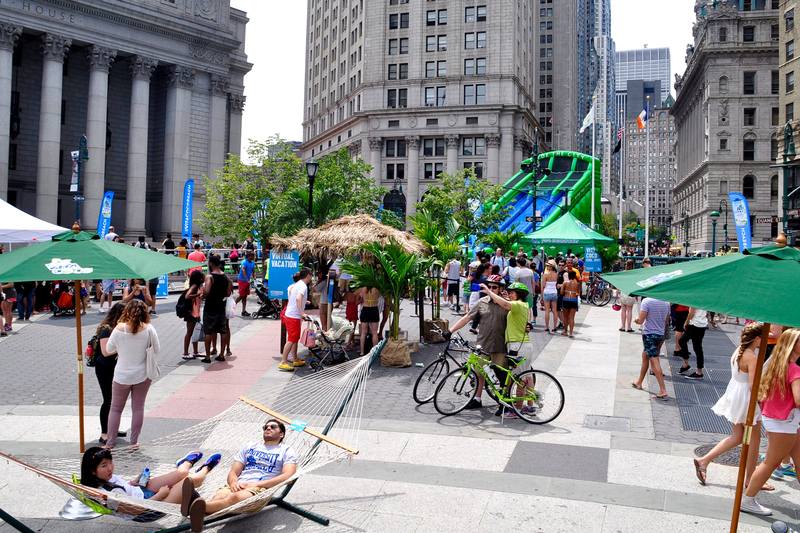 The Foley Square Rest Stop (Dunae and Centre Sts) offers extreme sports such as the infamous zipline. 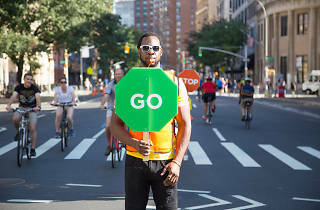 The Soho rest stop (Spring and Lafayette Sts) is the fitness zone where folks can take free workout classes. 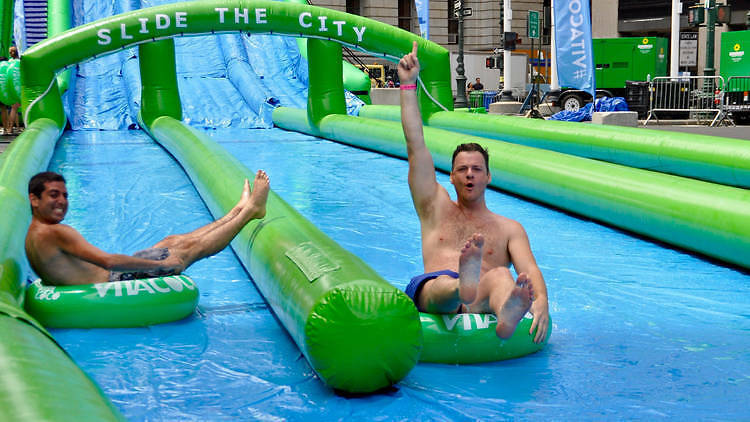 The Astor Place rest top (Astor Pl and Lafayette St) is an Outdoor Adventure course called “Climb Every Mountain.” The Midtown rest stop (25th Street and Park Ave) is dubbed “City Picnic: Food Glorious Food,” which will be a grub and beverage sampling area. And the Uptown rest stop (51st St and Park Ave) is the Children’s Corner. 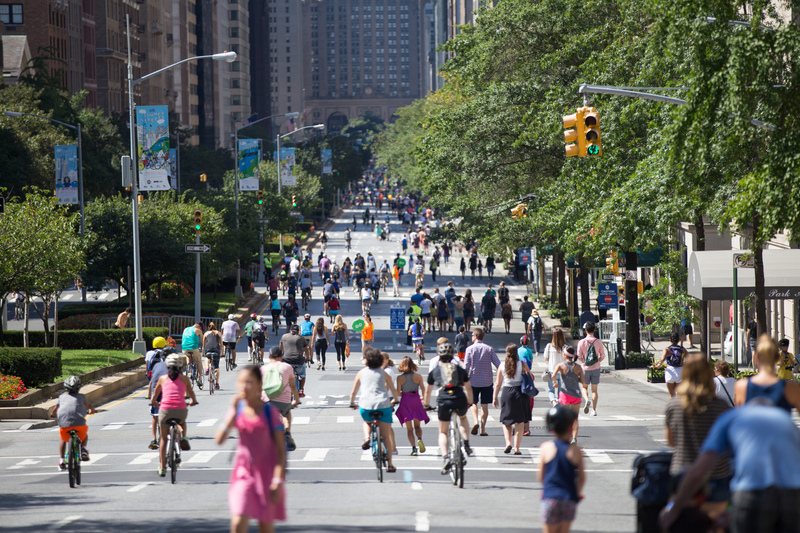 Cancel your Saturday plans this August—Summer Streets is back. 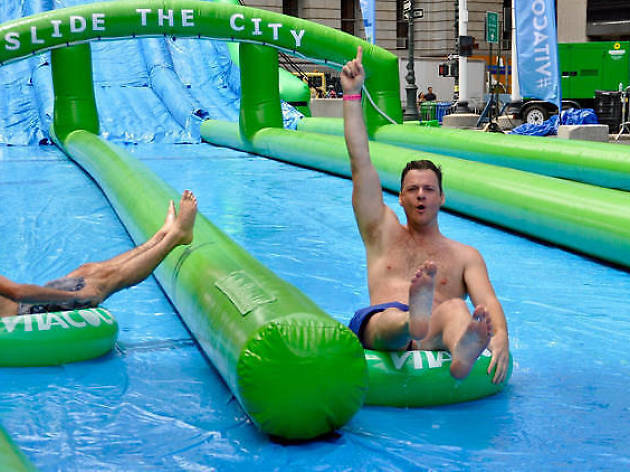 Register now for the massive waterslide at Summer Streets!